Interested in youth services? Come on out to the 2019 iYouth Conference: Departures & Disruptions! This year, the iYouth Conference will highlight the incredible work of local librarians and LIS students who are making meaningful change in their communities. Whether by departing from traditional methods/ideas of librarianship or disrupting current systems that aren’t working for the communities they serve, there are incredible change-makers in our libraries working to make them better for children, youth, and teens. Hear from local public librarians, school librarians, students, and a local author! Enjoy free food at an afternoon reception and take home advance reading copies of upcoming titles! If you have questions about the conference, contact iYouth at iyouth.info@gmail.com. Welcome to the 2017-18 Academic Year! The staff in Student Services is excited to start another academic year! We have planned a number of events for Autumn Quarter including chats with the Dean, a variety of career workshops and meet-the-firm events, as well as our traditional Spooky Study Break. For our online students: watch for ways to attend these events online or listen to the recordings at a later date. The iSchool hired five new faculty members, two familiar faces were hired as permanent lecturers, AND we hired a new Dean! Alexis Hiniker brings her HCI expertise to the iSchool faculty and is teaching in the PhD program this year. ischool.uw.edu/news/2017/08/new-ischool-faculty-member-alexis-hiniker-studies-online-habits-good-and-bad. Ott Toomet will be teaching courses in data science. Attention new students: we want your feedback. Please take a moment to complete our survey about your program orientation and iSchool welcome activities. The survey is available at catalyst.uw.edu/webq/survey/ioss/340464. Deadline to complete the survey is Sunday, October 8th. The iSchool offices exist in three different buildings spread across the U-District. Mary Gates Hall is the home of the Dean’s Offices, Student Services, IT, as well as individual faculty offices. 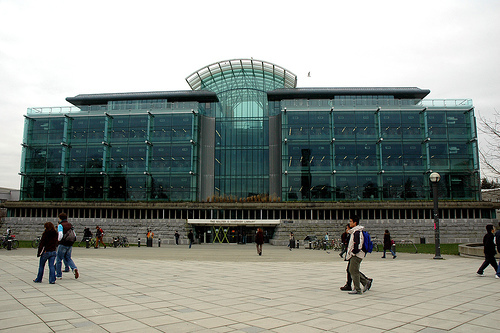 Bloedel Hall houses a classroom, casual meeting/study spaces for students and the offices, and work spaces for several of our research centers, research faculty and staff. Roosevelt Commons holds most of the iSchool administrative offices and staff including Finance, Advancement and Communications. The iSchool has several spaces available for iSchool students’ use. Numerous computer labs and the iLounge and numerous computer labs are available for iSchool students to use to support your academic activities. These spaces are accessed with your Husky Card. The expectations of the iSchool are that these environments be welcoming, comfortable and inclusive for ALL iSchool students. 066 – Collaboration Lab (CoLab): meeting area for students working on group projects. The room is equipped with whiteboards, TV/displays, different meeting area set ups, couches, conference tables, and power outlets for laptops. iSchool student access via Husky Card seven days a week, until late each night. NOTE: The Co-Lab is temporarily being used as office space and will be available for student use later in autumn quarter. 076 and 082 – PC Computer Classrooms: Machines running Windows 10 and a large selection of other software. Frequently reserved for classes during the day. iSchool students have swipe card access in the evenings and on weekends. 334 and 342 – Introductory Programming Lab (IPL) shared with CSE: Open spaces for laptops in 342. After-hours access via swipe card access through 342. 430 – iMac Computer Classroom: iMacs running Mac OS X and Windows available under Parallels. Frequently reserved for classes. Check the electronic calendar device on the wall to see if the room is available. 440 TE Lab (Technology Exploration Lab), Quiet Lab, and VR Lab: Main area has iMacs with Windows available and open spaces for laptops. Generally a louder collaborative working space. Quiet Lab is adjacent, no noise allowed. A small Virtual Reality Lab is in the back of 440 with VR headsets (HTC Vive, Oculus Rift) and VR development software installed. Computer Lab Norms may be found at ischool.uw.edu/technology/computer-labs/policies. iLounge Norms: This space is open to use by all iSchool students, staff and faculty. The kitchen space is shared and each individual user is responsible for cleaning-up after him or herself. This includes dishes, microwaves, table tops, countertops and the fridge. The day-to-day cleanliness of the space is the responsibility of those who use it. The iLounge is more thoroughly cleaned monthly by members of iSchool student organizations. The small meeting room may be used for group meetings. No reservations available. Use of the small room should be kept to 30 minutes per visit. Please note that group events are not allowed in any of these spaces without prior approval of the iSchool administration. All iSchool spaces are subject to the UW Student Conduct Code: ischool.uw.edu/current/policies. If your Husky Card is not working in a computer lab or iLounge, contact the iSchool Facilities Administrative Coordinator Frankie Fowler at frankieg@uw.edu. To avoid being escorted out of the iSchool labs when MGH is closed, you need to have an official permit issued by the iSchool. The permits will allow you to stay in MGH from building close to 3 a.m. No students should be in MGH between 3 a.m. and 7 a.m. The iSchool will be issuing building permits to those students who request them. To request a building permit, please complete the survey at catalyst.uw.edu/webq/survey/frankieg/340441. Deadline to submit building permit requests is Friday, October 6 at 11 pm. Permits will be available the week of October 16th in the iSchool Dean’s Office, MGH 370. If you think you will be in MGH outside of the hours listed above, you should request a building permit. This is your one and only chance to request a building permit for the 2017-18 academic year. The iSchool has a reputation as a place where we develop information leaders who are sought after by top professionals in the information field. This reputation depends upon the consistently professional behavior and high-quality work of our students and graduates. We expect you to be part of this positive community by maintaining the highest standard of professional conduct possible in all of your interactions with university staff, employers, recruiters, and your fellow students across campus. We expect students to conduct themselves with the utmost professionalism at all times. When faculty or staff representing the university explain policies or procedures to you, we expect that you will behave professionally, politely, and graciously, that you will follow instructions and requests of staff, and that you will abide by university policies not just at the iSchool but elsewhere on campus. In addition to email, Student Services uses a number of other forms of communication to make announcements to students. Announcements about UW activities, professional events or other opportunities for students that aren’t directly related to your academic program are posted on the Student Services blog. In addition to the blog, we also have several social media accounts. There are a number of ways that your fellow students represent you within the iSchool and the greater UW. Below is a list of student representation on various committees. Each iSchool degree has a program committee that oversees the curriculum, admissions and policies. The committees are led by the program chair and comprised of faculty members, the program adviser, and students. Schedule one-on-one advising appointments with iSchool academic and career advisors. Directions for making appointments via iCareers are outlined at uw.edu/current/advising-support. View and sign-up for upcoming workshops and events for current students. To view an event, log into iCareers, click on “Events” tab on the left side of the home screen and then choose “Workshops.”. View job, internship and other career opportunities. You can look for jobs, internships, and Capstone opportunities, upload your resume, and sign up for experiential learning opportunities. The iSchool hired five new faculty members. Some have taught for us part-time, some have returned after time teaching elsewhere, and some are brand new to the iSchool. Susan Hildreth joins the iSchool in an new position as Distinguished Practitioner in Residence. Michelle Martin is our new Cleary Professorship in Children and Youth Services. Attention new students: we want your feedback. Please take a moment to complete our survey about your program orientation and iSchool Welcome activities. The survey is available at catalyst.uw.edu/webq/survey/ioss/313969. Deadline to complete the survey is Sunday, October 7th. Bloedel Hall houses a classroom, casual meeting/study spaces for students and the offices, work space for several of our research centers, research faculty and staff. The iSchool has several spaces available for iSchool students’ use. The iLounge and numerous computer labs are available for iSchool students to use to support your academic activities. These spaces are accessed with your Husky Card. The expectations of the iSchool are that these environments be welcoming, comfortable and inclusive for ALL iSchool students. 066 – Collaboration Lab (CoLab): meeting area for students working on group projects. The room is equipped with whiteboards, TV/displays, different meeting area set ups, couches, conference tables, and power outlets for laptops. iSchool student access via Husky Card 7 days a week, until late each night. NOTE: The Co-Lab is temporarily being used as office space and will be available for student use later in the autumn quarter. 334 and 342 – Introductory Programming Lab (IPL) shared with CSE: Open spaces for laptops in 342. After hours access via swipe card access through 342. 440 TE Lab (Technology Exploration Lab), Quiet Lab, and VR Lab: Main area has iMacs with Windows available and open spaces for laptops. Generally a loud/working collaborative space. Quiet Lab is adjacent, no noise allowed. A small Virtual Reality Lab is in the back of 440 with VR headsets (HTC Vive, Oculus Rift) and VR development software installed. iLounge Norms: This space is open to use by all iSchool students, staff and faculty. The kitchen space is shared and each individual user is responsible to clean-up after himself or herself. This includes dishes, microwave, table tops, countertops and the fridge. The day to day cleanliness of the space is the responsibility of those who use it. The iLounge is more thoroughly cleaned monthly by members of the iSchool student organizations. The small meeting room may be used for group meetings. No reservations available. Use of the small room should be kept to 30 minute per visit. The iSchool will be issuing building permits to those students who request them. To request a building permit, please complete the survey at catalyst.uw.edu/webq/survey/frankieg/313451. Deadline to submit building permit requests is Monday, October 12, 5 pm. Permits will not be available until the end of October. If you think you will be in MGH outside of the hours listed above, you should request a building permit. This is your one and only chance to request a building permit for the 2016-17 academic year. The iSchool has a reputation as a place where we develop information leaders who are sought after by top professionals in the information field. This reputation depends upon the consistently professional behavior and high quality work of our students and graduates. We expect you to be part of this positive community by maintaining the highest standard of professional conduct possible in all of your interactions with university staff, employers, recruiters, and your fellow students across campus. We expect students to conduct themselves with the utmost professionalism at all times. When faculty or staff representing the university explain policies or procedures to you, we expect that you will behave professionally, politely, and graciously, that you will follow instructions and requests of staff, and that you will abide by university policies not just at the iSchool but elsewhere on campus. In addition to email, Student Services uses a number of other communication media to manage the various types of announcements we are asked to forward to students. Announcements about UW activities, professional events or other opportunities for students that aren’t directly related to your academic program are posted on the Student Services blog. In addition to the blog, we also have several social media accounts. Each iSchool degree has a program committee that oversees the curriculum, admissions and policies of the program. These committees are led by the program chair and comprised of faculty members, the program adviser and students. The iSchool will be launching a planning period for a new iSchool space that will bring all aspects of the school in one building. This is an exciting project and the planners would like to get input from all aspects of the iSchool, including students. It is a multi-year project and the ideal student committee members would be able to serve on the committee for more than one year. If you are interested in participating in the facilities committee and working on the new iSchool space contact Mary Clark at mclark@uw.edu. Committee meetings will get underway sometime in mid- to late-autumn quarter. PhD Students: you can find more information on funding for conferences at ischool.uw.edu/current/phd/funding. View and sign-up for upcoming workshops and events for current students. To view an event just log into iCareers, click on “upcoming workshops” in the shortcuts menu on the right side of the home screen, and choose the event in which you wish to RSVP. Explore the career support aspects of iCareers. You can look for jobs, internships, and Capstone opportunities, upload your resume, and sign up for experiential learning opportunities. Recruitment policies: iSchool-sponsored career events and on-campus interviews are privileges that carry certain expectations for your conduct. All iSchool students accessing iCareers resources and career events are held to a set of standards found at uw.edu/current/career-services/about/policy. Each quarter Dean Harry Bruce holds informal meetings with small groups of iSchool students. These meetings are a chance for students to talk with the Dean about their experiences at the iSchool and the UW. There are two Conversations with the Dean scheduled for autumn quarter. Lunch is provided. Space is limited for both events. If you’d like to participate, send an RSVP to Cameron Seib (cam1993@uw.edu). Space is allocated on a first come, first serve basis. We asked that students attend only one Conversation with the Dean per academic year. Mark your calendars for Wednesday, October 26th for the Student Services Halloween Study Break. Details to come! Today we are announcing the launch of the first iSchools Organization video contest! Through the contest, we’re hoping to source some great video content that we can use to promote the mission of the iSchools Organization and of Information Schools around the globe. Planning is underway for the College Librarians and Media Specialists (CLAMS) of Washington State Spring Conference to be held at Everett Community College http://www.everettcc.edu/ on May 21-22, 2015. We are honored that Dr. Joseph Tennis will be delivering the morning Keynote on Thursday, May 21st. 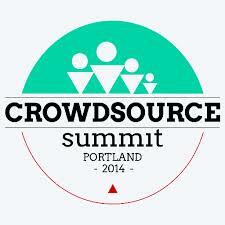 CrowdSource Summit: A Conference for Emerging Web Professionals.